The harmonic pattern underlying evolutionary emergence. Kepler, Pythagoras (and Involution) vindicated. Let me first explain the title of this post and its relevance to the work of Jose Diez Faixat. 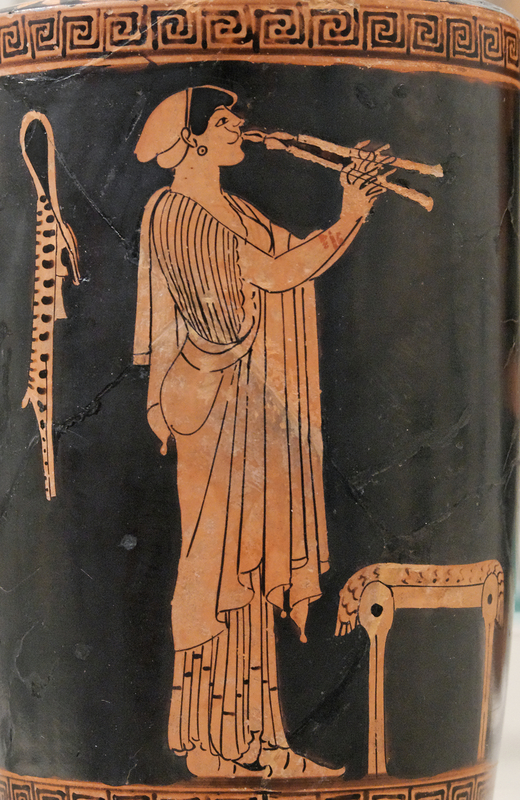 Plato in the Republic suggests that in a just society the flute (auylos) should be banned. It is immoderate and impure unlike the lyre, in which the harmonics follow the mathematical proportions. Thus, Plato calls the flute “many-stringed,” “pan-harmonic,” and, by implication, immoderate (Republic III 399d). In the case of the auylos, (flute) there is no necessary, direct correlation between the mathematical proportions of its physical structure (e.g., distance between finger holes, for example) and the sonic harmonies it produces. Or rather: to produce sonically consonant frequencies–to get the instrument ‘in tune’ so that it sounds the right notes–the auylos’s physical structure is mathematically disproportionate. If you think of a contemporary oboe or bassoon, they keys are neither evenly spaced nor do they follow systematic mathematical ratios like the 12:9:8:6 ones Pythagorean harmony uses. This is what Plato’s referring to when he says, for example: “in the case of flute-playing, the harmonies are found not by measurement but by the hit and miss of training, and quite generally music tries to find the measure by observing vibrating strings. So there is a lot of imprecision mixed up in it and very little reliability” (Philebus 56a). Darwin’s theory of Evolution is just such a ‘hit and miss’ hypothesis; accidental errors, fortuitous advantages which against every probability produced man and his consciousness. It is long overdue for comprehensive scrapping. It has served its time. 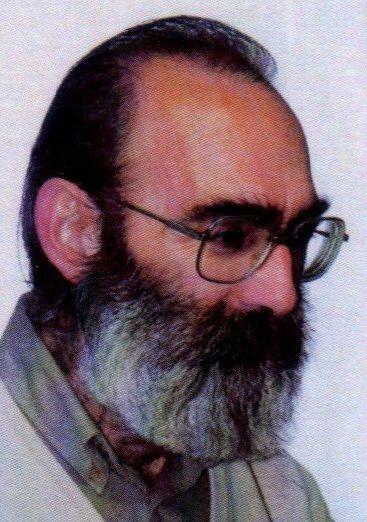 What Jose Diez Faixat has shown is that the harmonics of evolutionary advance are completely attuned in time- to the precise harmonics of the monochord (or a string of any length, which when ‘stopped at a third of the total length’ sounds a fifth above the base note. In the Lyre any string in vibration is echoed in perfect arithmetical proportions by others- the natural harmonics). Instead of haphazard accidental events ( major jumps in the fossil record) accidental catastrophes and extinctions ALL the major increases in phylogenetic ascendancy, new Classes, new Families, new Genera, can be linked to these harmonies in time. The tripartite division of the single length, and then the further tripartite division of that third, on and on, accompanied the creation of new and more complex consciousness, with higher vibrations, and more rapid advance. Just as happens with the Fibonacci numbers. Always a trinity, where one becomes three, at different scales.They jumped and accelerated according to precise subdivisions of the underlying invariable spiral pattern, qualitatively changing with each new series division. Not only does the pattern govern the ways by which creation has happened through time but in the development of each and every individual which recapitulates these precise periodicities, in uterine time. And continues in the development of the man thereafter, from absorption and necessary preoccupation in the physical world, the emotional world, then mental, then spiritual, tracing the seven Chakras which are the legacy (and integrated governance) of the evolutionary journey retained in every fractal (individual). Why is was exciting for me will be obvious to anybody who imagined that Involution- An Odyssey was a vague and unsubstantiated hypothesis given a veneer of poetic licence. Almost nobody involved in science has taken it seriously, as science. Jose Diez Faixal does not talk of memory but shows a harmonic progression in an orderly and accelerating ( higher pitch) complexity, that simply allows no room for chance of any kind. In that, his evidence maps across Involution as a purposeful, orderly process of self determination ( co-creation) newly integrated in greater complexity at precise moments in time. This implies a fundamental harmony for each, within all. Our relationship with everything is total! Not simply in origins but continuing in mental and emotional patterns throughout life. Was there any idea more seductive or exciting? In the long term, according to our pattern of rhythms this path will lead not to the “belief” in the world of the Absolute, but rather to “empirical” evidence of our own identity with the Absolute Itself. His evidence is more precise than Involution ( the fossil record and the history of ideas is better documented than the recovery of memory) but essentially the message is the same- active co-creation from Alpha to Omega which is also Alpha to a new cycle. Here is the start and the link to ‘Beyond Darwin’. It is worth deep reading and sharing. Please do. AbstractThis article surprisingly reveals the existence of a very precise spiral rhythm in the emergence of the evolutionary leaps that mark the history of the universe.The proposed hypothesis is very simple: just as in any musical instrument successive second harmonics (1/3 of the vibrating unit) progressively generate new sounds; these same second harmonics generate all the major evolutionary novelties in universal dynamics as a whole. It is truly surprising that such a simple proposal is found to be precise and categorical when cross-checked against historical data. Let us see. Fitting our ‘periodic table’ of rhythms to the date of the appearance of matter –the Big Bang– and of organic life, we see that every single instant of the emergence of successive taxonomic degrees of human phylogeny is marked out with utter precision:Kingdom: animal, Phylum: chordata, Class: mammal, Order: primate, Superfamily: hominoid, Family: hominid and Genus: homo! The same then occurs with all the stages of maturation of our primitive ancestors: H. habilis, H. erectus, archaic H. sapiens, H. sapiens and H. sapiens sapiens! Once more, the precision of our hypothesis is repeated in the successive transformations that humanity has experienced in its more recent history: the Neolithic, Antiquity, the Middle Ages, the Modern Age and the emergent Postmodern Age! If, as we see it, all these stages resoundingly fit the provisions of the ‘periodic table’ of rhythms that we have proposed, it is more than likely that our hypothesis may also provide the key to glimpse the successive phases yet to be deployed in the years to come in an ever-accelerating process that will eventually lead to a moment of infinite creativity –Omega– within a couple of centuries. Read the Full Article here Enjoy taking your place in the orchestra of creation. Yours! How lovely to have that resonance Philippa ..
To the divine virtues will they know how to lead thee. Source of Nature and model of the Gods. Lovely understanding Susan. Yes I sense that Jose has felt as alone as I have. Just the resonance of a single ‘other’ in intuitive overview makes the heart sing. Thanks for reading. Jose’s connecting things up is amazing, a life’s work.. You haven’t got a lifefime to chase after more facts. Your intuitions, I sense, are accurate, though whether there is a single target for you arrow I don’t know. The problem for scientists is their need to communicate AFTER the intuition. I was interested in Jose’s assiduous proofs of each stage of his argument, as opposed to my wild allusions. I think both complement one another but once the understanding is at full gallop, stopping to pick up facts can be very tedious. Yet to make any respectable headway one has to provide them. Sacred geometry’s beauty is found everywhere in nature. The secuctiveness of mathematical formulas seem to be symmetry, regularity and predictability, the latter being the the most coveted. And then of course, the detection of antimatter – a mirror image of our reality, which suggests we need to step through the mirror. Life started through the little bit of matter that mattered, causing an asymmetry and enabling becoming. We have intuitve knowledeg of how the universe operates. Scientist should be required to study the arts, so they can find metaphors for the public instead of working in an ivory tower of numbers. But if the patterning of number pervades the patterning of consciousness rather than the material? The perfection of the triad (DNA codons, Fibonacci sequence, and now harmonic fractions as well as H2O?) The trinities within creation unfolding complex consciousness are not diminished by being seen as such. Married to a mathematician I have never warmed to mathematics to understand things, but accept it is a n economical language to describe. Poetry for me works better because there is usually an element of worship to be found within it! What I meant to say was, art and poetry carry intuitive, non-sequential information that could save scientists a lot of time and aid their orientation – like the sudden ray of sunshine falling into a dark wood illuminates the heart.